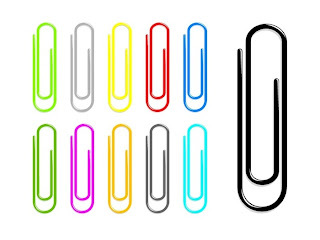 Following the Aerodrome Road Bridge debacle where a £12 million project has run £11 million over budget, Barnet Council has now established a department for paper clips and shuffling papers around Major Projects Directorate. This department is to be run by Deputy Chief Executive and Executive Director of Environment & Regeneration Brian Reynolds. Regular readers will know that Mr Reynolds is one of the council officers who was sent on a junket to the South of France at our expense. The public will be surprised to know that this new directorate was not established by a council committee or even by a member of the Cabinet. Rather, it was set up on the authority of an unelected council officer Mr Clive Medlam who, in the opinion of Don’t Call Me Dave, should be prosecuted for his role in the Underhill indemnities. First, why are officers able to take decisions of this nature without reference to the elected councillors? Second, when will the council recognise that public bodies are institutionally incapable of managing major projects? The Millennium Dome, the Olympics, ID cards, NHS Database are just a few of the well known public sector projects which have run massively over budget. A Major Projects Directorate will do nothing to improve project management in the Borough. It will serve only to increase bureaucracy and create a few more non-jobs. Sir Humphrey would be proud!